I’ve become fond of the All or Nothing series that airs on Amazon Prime each summer. For the first two years, it was an inside look, documentary-style of an NFL team, from the draft through the end of the football season. S1 covered the Arizona Cardinals and S2 covered the St. Louis-to-L.A. Rams. This year, the chosen NFL team was the Dallas Cowboys, which was not a team I cared to follow, plus professional football is not as much fun to watch right now as it used to be. Between the concussions, the crackdown on athlete protests, and the seeming lack of any ethics regarding labor practices, my household has backed way off on its NFL watching. So, I was a bit disappointed that I wouldn’t get a fun documentary to watch this summer. And then I saw that Amazon had produced a season of the program that was shorter, but covered the famed rugby team from New Zealand, the All Blacks. The All Blacks perform their haka before a match in England. Go Dawgs, even if you look like you’re melting in the Georgia heat. 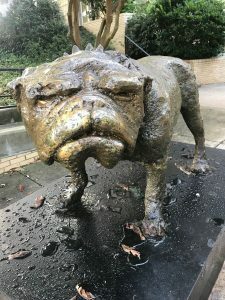 This guy can be found outside Memorial Hall at UGA. 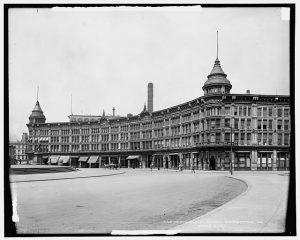 Hotel English and Army and Navy [Soldiers’ and Sailors’] Monument, Indianapolis, Indiana, 1904. Courtesy of the Library of Congress. 1903 was a particularly difficult year for African Americans, as described in Douglas Blackmon’s book, Slavery by Another Name: The Re-Enslavement of Black Americans from the Civil War to World War II. In that year alone, at least 85 African Americans were murdered by lynching. Several high profile cases of “peonage”–essentially, the continued enslavement of Black persons by private citizens and corporations in the post-Civil War Era–were being prosecuted throughout the South, with little effect. “A young white chambermaid at the English Hotel in Indianapolis, Indiana, named Louise Hadley, became a brief cause célèbre in May 1903, hailed in the North and the South, after she refused to make up a bed that had been occupied by Booker T. Washington” (238). 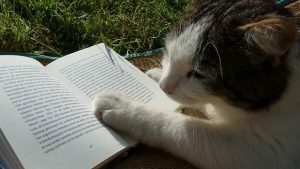 This cat looks wary of whatever they’re reading. Seems appropriate. First, let me say that it has been a real struggle this semester, and I have pushed blogging way down my “next actions” list. I should be committing to write here much more, and I intend to get back on the weekly schedule I maintained in the past, but the schedule for Spring 2018 has been a tough one. Over the past few weeks, it has come to light that a new documentary about the legendary transgender activist Marsha P. Johnson was made in a highly unethical fashion. The still-developing story about The Death and Life of Marsha P. Johnson is a sad one, and one which I think has clear overlap with academia. In fact, I think seeing this story through the lens of academic research further emphasizes the unethical behavior of the film’s director, David France. If you’re unfamiliar with the story, you can read a good article about it at Mother Jones. The broad strokes are that France relied on footage gathered and in some cases, found, by Reina Gosset, who had been gathering video footage and other materials about Johnson for years, partly with the intention of making her own documentary. France never credited or paid Gosset for any of this work. The fact that Gosset is a trans woman of color and France a cis white man only further highlights how messy this ordeal really is. “Furthermore, France admits that Gossett’s Vimeo channel, which consists of 19 videos, was one of several that his crew examined during the course of their filmmaking process and video from that channel may have appeared on their ledger to keep track of available footage. But he maintains that Gossett did not hold the copyright for the archival footage of Johnson that appeared on the channel and that it also appeared elsewhere. He says his team legally obtained permission from copyright holders for the footage that ultimately appeared in The Death and Life of Marsha P. Johnson. France doesn’t deny using and incorporating the material into his larger research, he just claims he “learned nothing new.” If we take him at his word, this doesn’t technically amount to plagiarism, but it is an unethical theft of someone else’s hard work. When a scholar goes to an archive, for example, they dig through folders and boxes of material. They have to scan endless amounts of documents and photos, and make careful judgements about what is useful and what isn’t. 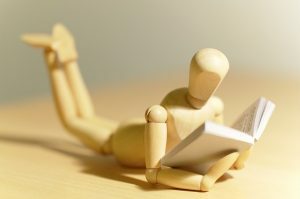 When they write a paper or develop a project based on that research, they don’t own the copyright. That has to be credited to the archive, or the entity which owns the rights to that material. However, the research–the act of finding these documents, collecting them, sifting them, and prioritizing them–is their own work. It takes time, effort, and money to do this work. To take someone else’s efforts without credit, and then dodge complaints by saying “well they don’t own that stuff, anyway,” is a gross misunderstanding of the value of work and research. This year, I spent two days in the Sophia Smith Collection at Smith College. You can read about that here. If I were to post some of my PDFs from that research trip, or publish a blog with a comprehensive list of my findings, I would have to credit the Collection where I found them. I don’t own that material. But if a person came by and downloaded or copied what I posted here, and then incorporated all of that work into another project, without crediting me, that would be the same kind of unethical behavior David France is exhibiting here. It would be wrong. Gosset found this footage; she labored to bring the legacy of Marsha P. Johnson to a larger audience. That labor needs to be at least acknowledged, if not outright compensated. Otherwise, France is nothing more than a cheap thief. 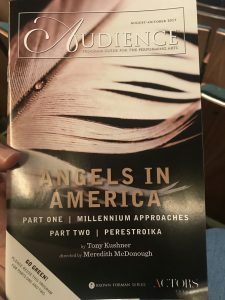 This past weekend, I was fortunate enough to see Part 2, “Perestroika,” of Tony Kushner’s Angels in America at the Actors Theatre of Louisville. 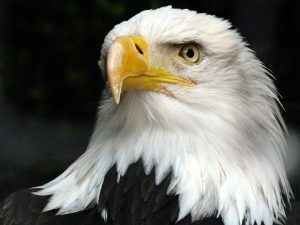 As I have mentioned several times in this blog, I teach Angels regularly as part of my 20th century American literature course. Students tend to respond to it really effectively, and it is a near-perfect example of postmodernism, which is helpful for literature students to unpack.